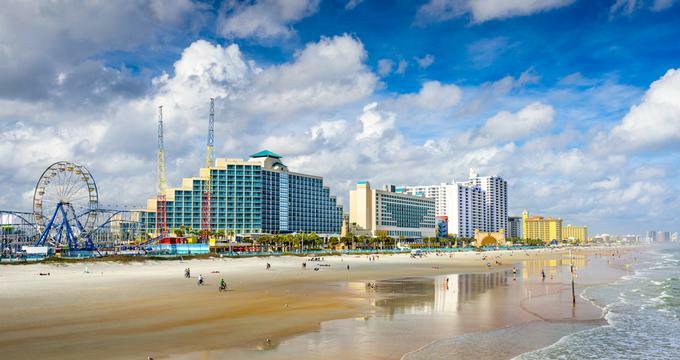 Daytona Beach is home to a beautiful 23-mile stretch of white sandy beach, Daytona International Speedway, the Museum of Arts and Science, the Daytona Beach Broadwalk and the Ponce de Leon Lighthouse & Museum. Best things to do in Daytona Beach, Florida with kids include the Marine Science Center, the Angell & Phelps Chocolate Factory and Congo River Golf. Built in 1938, the Daytona Beach Broadwalk on North Ocean Avenu earned this name because of the width of the walkway and the fact that it was made of concrete and not wooden boards. Today most people simply call it the Boardwalk. It is lined with many bars, hotels, restaurants, shops, and the City Walk shopping and entertainment complex. If you are wondering what to see in Daytona Beach, the Daytona Beach Boardwalk also features many forms of entertainment and attractions. There are arcades with games, indoor and outdoor amusement rides like a roller coaster, a Ferris wheel, and many more. There is a bandshell on the boardwalk, and free concerts often take place here during the summer. With more than 30,000 objects, the Museum of Arts and Science (MOAS) is one of the largest museums in central Florida. Some of its exhibits include Cuban art, Chinese art, Early American furniture and art, displays related to Florida history, and a large collection of Americana including quilts, teddy bears, two private train cars, and many other pieces of memorabilia. Opened in 2008, the Charles and Linda William’s Children’s Museum is a 9,000 square foot facility with many hands-on science exhibits. The museum offers many education outreach programs such as group tours and summer camps. 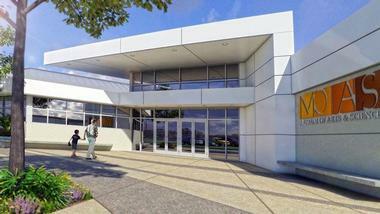 If you are looking for fun things to do in Daytona Beach with kids, the museum also has a planetarium and auditorium. 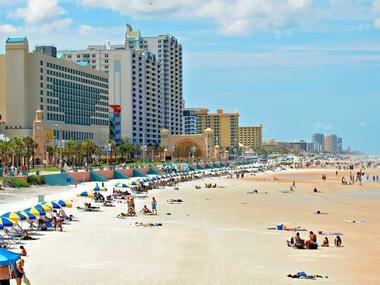 The Beach at Daytona is a 23-mile stretch of white sandy beach and one of the top places to visit. It is known for its hard-packed sand that allows cars to drive in certain restricted areas of the beach, and the beach was used for car and motorcycle racing as early as 1902. Starting in 1936, it became the location for the Daytona Beach Road Course; this ended in 1958 with the creation of the Daytona International Speedway. Today, the beach is known for being family-friendly and having beachfront parks with picnic areas, pavilions, boardwalks, and restrooms. Some of the most popular beachfront parks include the Michael Crotty Bicentennial Park, the Lighthouse Point Park, and the Smyrna Dunes Park. Take a tour of Daytona International Speedway, a world famous speedway, the home of the annual Daytona 500 NASCAR Sprint Cup Series motor race. There are many choices of tours that last from 30 minutes to three hours. The Speedway Tour includes a ride through the speedway’s infield where visitors can take a close look at the famous speedway, while the VIP Tour includes a trip around the track and a visit to the International Speedway Corporation Archives and Research Center where guests can see the large collection of racing artifacts, trophies, race cars, driver memorabilia, and much more. Lighthouse Point Park is a public park located on South Atlantic Avenue in Ponce Inlet just south of Daytona Beach and Daytona Beach Shores. It is a 52-acre park located at the southern tip of Ponce Inlet and has many appealing activities, amenities, and facilities such as swimming, fishing, pavilions, an observation deck, nature trails, and much more. The park is known for its natural beauty and wildlife. If you are wondering what to do in Daytona Beach with active kids, this is a great spot. Visitors can see dolphins along the shoreline, and in the sandy areas there are many different kinds of animals such as armadillos, gopher tortoises, possums, raccoons, and several types of birds like birds of prey and shore birds. 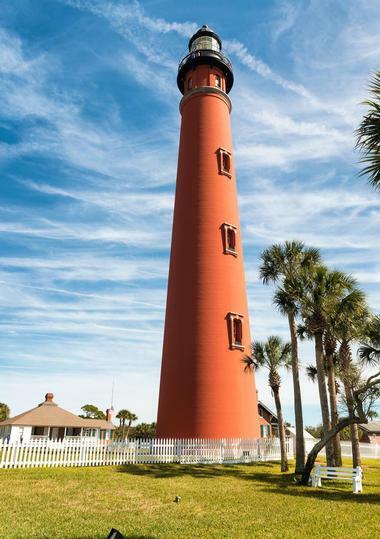 The Ponce de Leon Lighthouse & Museum is a historic lighthouse on the Ponce de Leon Inlet. 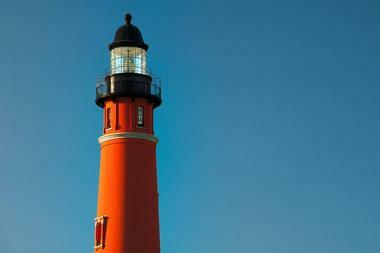 Standing 175 feet (53 meters) high, it is the tallest lighthouse in Florida and one of the tallest in the United States. The first lighthouse was built in 1835 to prevent shipwrecks from taking place along the coast; the current lighthouse was completed in 1887 on what was then called Mosquito Inlet. Abandoned in 1970, the lighthouse was restored to service in 1982. The museum consists of the lighthouse, three keepers’ dwellings, and several historic objects such as the 1867 lens installed in 1887. The Marine Science Center features many interactive exhibits that help visitors learn about the marine habitat and marine wildlife. 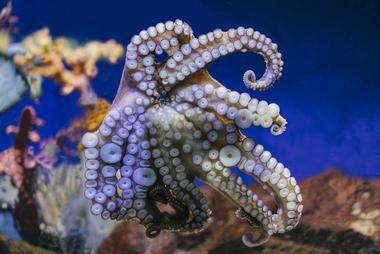 Some of the exhibits include a 5,000-gallon artificial reef aquarium, a stingray touch pool, the Mary Keller Seabird Rehabilitation Sanctuary, the Nature Trail, and a bird observation tower. The seabird rehabilitation center has treated and cared for over 4,500 wounded and sick birds since it opened in 2004. If you are wondering what to see in Daytona Beach, Florida, the Marine Science Center is a great place to visit with the whole family. The Sea Turtle Rehabilitation Department opened in 2002 and has cared for thousands of sea turtles, freshwater turtles, gopher tortoises, and other reptiles. Beach Street is a historic shopping street between Bay Street and Orange Avenue in the downtown area of Daytona Beach, and the nearby Halifax River gives the riverfront restaurants and shops a special atmosphere. The restaurants offer a wide variety of cuisines such as American, French, Italian, Japanese, Mexican, and many others. Shops sell antiques, art, books, clothes, jewelry, and much more. In addition to the restaurants and shops, there are many service providers such as salons, health care, and automotive services. Beach Street is also an entertainment area with many attractions like the Cinematique Theater, the Halifax Harbor Marina, the Halifax History Museum, and theater performances at the News-Journal Center. Three Brothers Boards is a paddleboard company located on South Beach Street in Daytona Beach. They sell handmade exotic wood stand-up paddleboards as well as paddleboard accessories. The company also offers a variety of Stand Up Paddle Board Tours in the Daytona Beach and Halifax River areas. Experienced professionals lead all of the tours, and only the best equipment is used. The Dolphin and Manatee Adventure Tour starts with a lesson for beginning paddleboarders, and guests are able to have close up encounters with dolphins and manatees. The Three Brothers SUP Nature Tour leads guests through bird sanctuaries and mangrove forests to see wildlife like manatees and redfish. If you are looking for great Daytona Beach activities, Pure Life Surf School offers surfing lessons, surf camps and stand up paddleboard lessons. Private or group lessons are offered for any age group, and all instructors are professional, experienced, and trained and certified in CPR and first aid. In addition to learning how to surf, guests are taught about the ocean and correct surfing etiquette. Surf camps are held for children and the company guarantees a ratio of no more than four students per instructor. The stand up paddleboard tours take place in the Halifax River so that guests can enjoy the mangrove trails and the wildlife. Richard Petty Driving Experience is a company that offers drivers the opportunity to drive a racecar around the world-famous Daytona International Speedway. Guests can drive a 600HP NASCAR racecar around the 2.5-mile speedway, the home of the Daytona 500. Another option is the Ride-along Experience, where guests ride instead of drive around the track, and a professional and experienced racecar driver drives the car. The company also offers a Junior Ride-Along @ Daytona International Speedway for young adults. The number of laps depends on the option chosen. Founded in Michigan in 1925 by Riddell Angell and Cora Phelps, Angell & Phelps Chocolate Factory moved to Daytona Beach at the beginning of World War II. Today, the company still uses its original recipes to make its chocolates. The company offers free 20-minute guided tours of the factory where visitors can watch the chocolate making process, and visitors are also given free samples. Some of the company’s chocolate products are unique: they make chocolates in interesting shapes like alligators, conch shells, dolphins, sand dollars, and many more. If you are looking for date ideas in Daytona Beach, visit this fun attraction. Jackie Robinson Ballpark is a historic baseball field on City Island in the Halifax River. 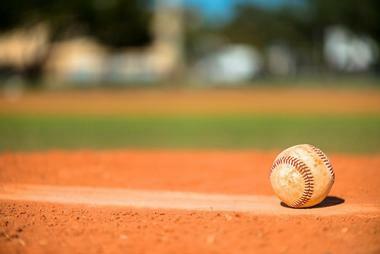 It has historic significance because it was the site of the first integrated baseball game. Opened in 1914 as the City Island Ball Park, the stadium was rebuilt in 1962. In 1946, Daytona Beach was the first city in Florida to allow Robinson to play a game at the stadium, thus making history; it is listed on the U.S. National Register of History Places. There is a statue of Jackie Robinson as well as a museum and historic markers at the ballpark. 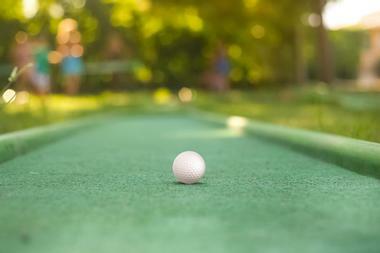 Congo River Golf is a fun adventure-themed miniature golf course with many additional attractions. The miniature golf course is filled with exciting features like caves, rain forests, waterfalls, and much more. There is an interactive alligator exhibit with over 25 alligators, which is where guests are able to take part in an alligator feeding experience. Another attraction is the Congo River Mining experience, where visitors can sift for arrowheads, fossils, gemstones, and more. The arcade room has a large variety of games for children and adults. The Exploration Game is a scavenger hunt with prizes for successful participants. The 550-slip marina Halifax Harbor Marina is a year-round facility for permanent docking as well as for overnight or seasonal use. 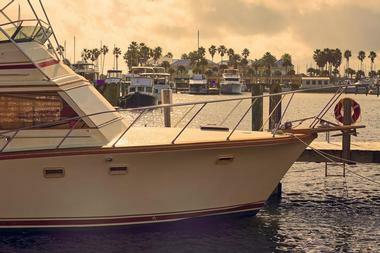 The marina is conveniently located, as it is just a short ride to the open sea and an equally short distance to all the amenities and attractions that Daytona Beach has to offer. Some of these include dining, entertainment, and shopping as well as its historic and scenic downtown area. 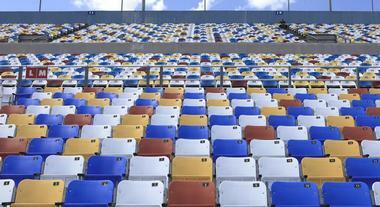 It is also close to the Daytona International Airport and the Daytona International Speedway. Amenities include bathhouses, cable TV, gated docks, security, and much more.